Are you looking for a Ventura classical guitarist for your wedding or other event? 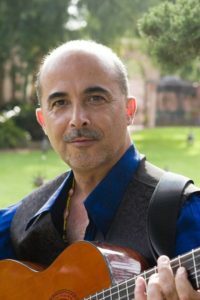 John Cantilo is a classical guitarist and singer available for weddings, parties, and other events in Ventura and surrounding areas. He has been playing in Ventura and throughout Southern California for several years. He performs regularly at the Bacara, the Biltmore, the Canary, and several of the wineries in the Santa Ynez Valley. John isn’t just a superb classical guitarist but also an excellent singer which makes him an ideal choice for your wedding ceremony and cocktail hour or reception. Hire him to perform the ceremony as a solo guitarist and also for the cocktail hour and reception with his backup band. Have a listen to John’s playing and singing in the audio player below. For more info please click here.